The kittens just keep coming in, at least 30 calls a day wanting us to take in more. 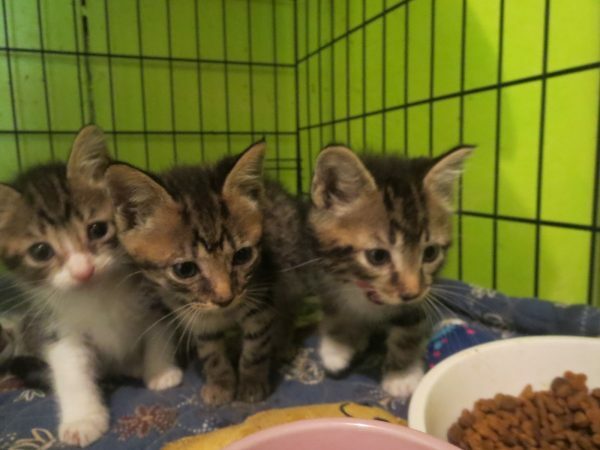 The smallest is 10 ounces and the biggest one in our care is 1 lb 14 ounces, they have a ways to go before we can get them spay/neutered. We like moving them to Portland where there is a higher adoption rate, everyone gets spay/neutered, vaccinations, micro chip, flea and worm treated. We however do adopt to responsible pet owners, pets adopted are for the life of the pet. We work hard to keep all our kittens safe and healthy.